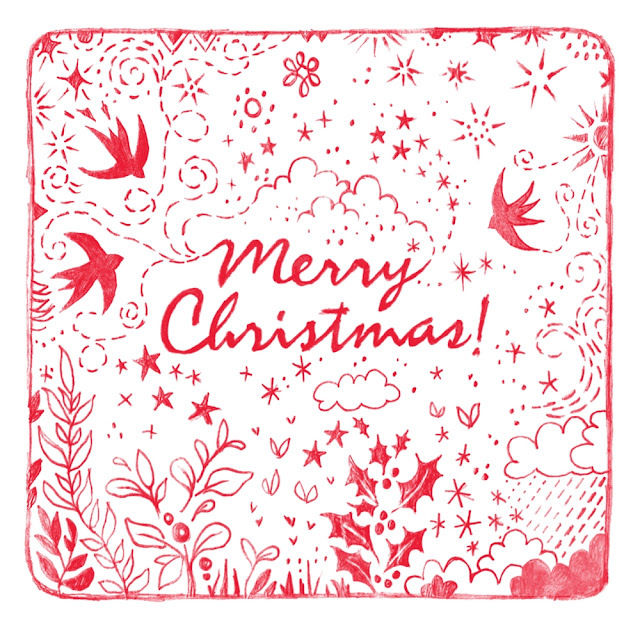 Forest & Sea | hand drawn nature on fabric, accessories and homeware: Merry Christmas! Merry Christmas and see you in 2017! I'm looking forward to lots of new projects and good stuff for the shop; how about you, what are you looking forward to in the new year? Merry chrismas to all the christians around the world. This is a nice card and now when digital media trend is started we should forget about the paper printed cards now.